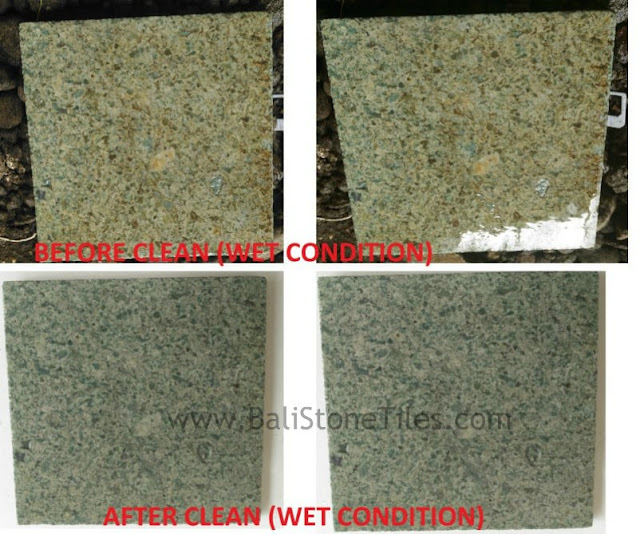 How to clean Yellow spots on Sukabumi Stone. Green Sukabumi Stone sometimes will gets yellow spots especially when you not install it into water. This reaction gets from oxidation oxygen in air. To solve it, you can use ceramics cleaners mix with water, with mixture 25% ceramics cleaner and 75% Water. Throw the mix fluid to face of the stone with yellow spot, then wait it for 1 minute. After that, brush it with soft nilon that dipped to the fluid too. The yellow spot will be clean after brush it within 2 minutes. After that, clean it with water. if want get high result use water with pressure. Sometime if you choose low quality Green Stone Sukabumi, you will get the stone with much Yellow Spot. 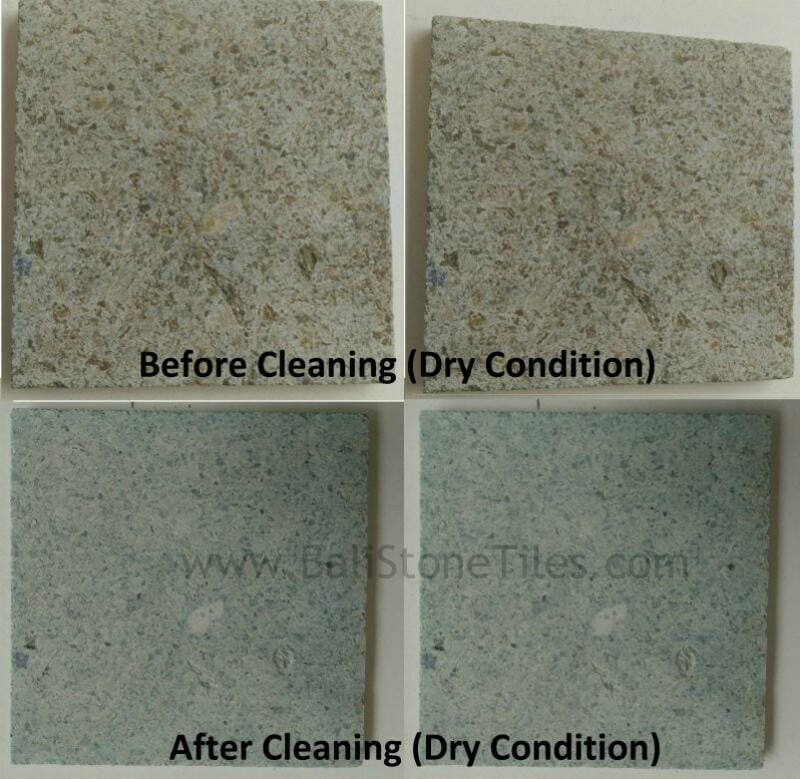 If you get stone with much yellow spot, it is need more time and hard to clean it. So make sure you choose high quality Sukabumi Stone and proffesional Natural Stone Suplier. If your stone gets mud, it is not hard to clean. Just with soft nilon brush or soft plastic. Firstly, you need to surely the mud is dried, after that you can clean it with soft nilon brush or soft plastic. Spray the mud location with neutral stone cleaner. Then dried it with clean cloth, if the mud not clean contact proffesional cleaner.